Sagamore Farm and WinStar Farm's Global Campaign, undefeated in two career starts, remains possible for the Fountain of Youth after working five furlongs Sunday morning at Palm Meadows, Gulfstream's satellite training facility in Palm Beach County. It was the second work for Global Campaign since the son of Hall of Famer Curlin, unraced at 2, won a 1 1/16-mile optional claiming allowance by 2 ¼ lengths Feb. 9. Both his victories have come over Gulfstream's main track. 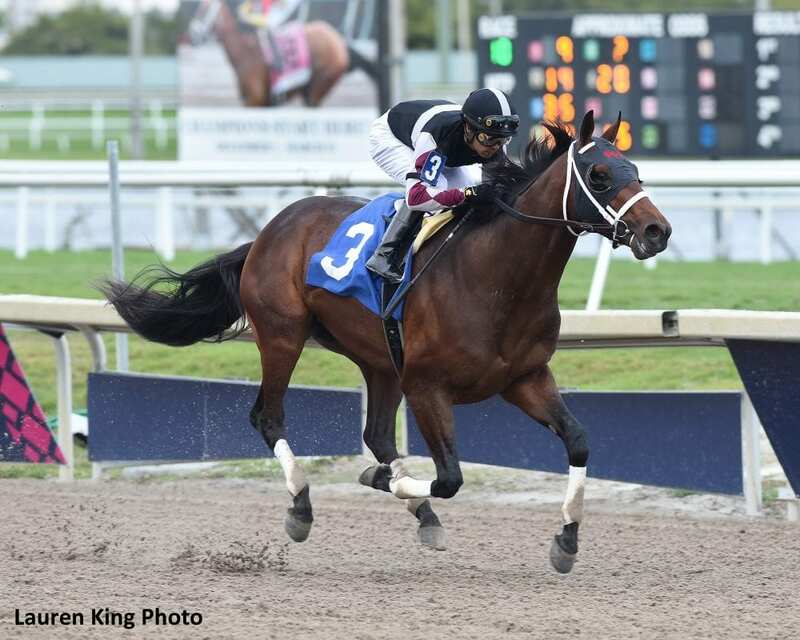 Hough said the connections are considering both the Fountain of Youth and Tampa Bay Derby (G2) March 9. Also at Palm Meadows, Cash is King and D.J. Stable's 2018 juvenile filly champion Jaywalk put in a final breeze in preparation for her 3-year-old debut in the $200,000 Davona Dale (G2) on the Fountain of Youth undercard. Jaywalk went a half-mile for the one-mile Davona Dale, her first race since extending her win streak to four with a 5 ½-length romp in the Breeders' Cup Juvenile Fillies (G1) Nov. 2. It was her second straight Grade 1 triumph, following the Oct. 7 Frizette Oct. 7 at Belmont Park. Servis, who won the 2004 Derby and Preakness (G1) with Smarty Jones, won the Davona Dale in 2016 with Cash is King's Cathryn Sophia, who went on to win the Kentucky Oaks (G1) two starts later. This entry was posted in NL List, Triple Crown and tagged Curlin, Fountain of Youth, global campaign, Gulfstream, gulfstream park, palm meadows, sagamore farm, Stanley Hough, Tampa Bay Derby, winstar farm by Press Release. Bookmark the permalink.